What a brilliant idea for presenting strong clothes that can be worn by any body type and in extreme movement . 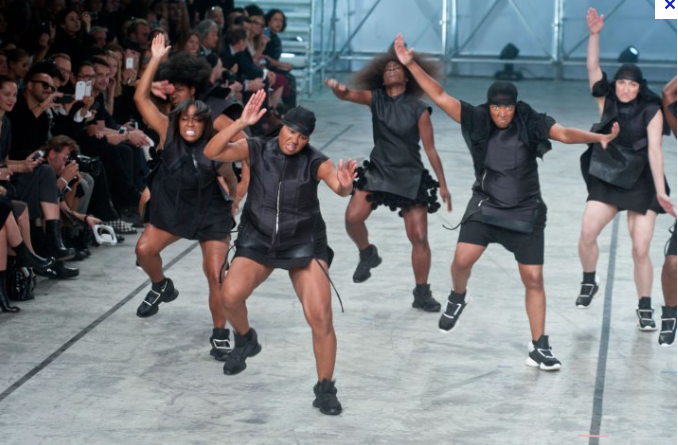 Last week in Paris Rick Owns presented his Spring/Summer 2014 with a step team performance…A type of type of dancing that involves clapping, stomping, and making noise on the body to make a beat with a whole group of people. The tradition of stepping is rooted within the competitive schoolyard song and dance rituals practiced by historically African American fraternities and sororities, beginning in the mid-1900s. inspiring ! watch the video below. …amazing I love the way of show collection..